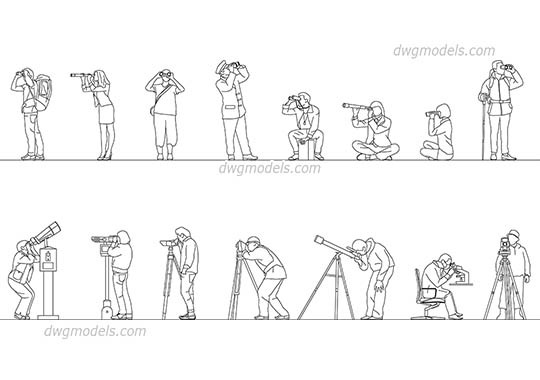 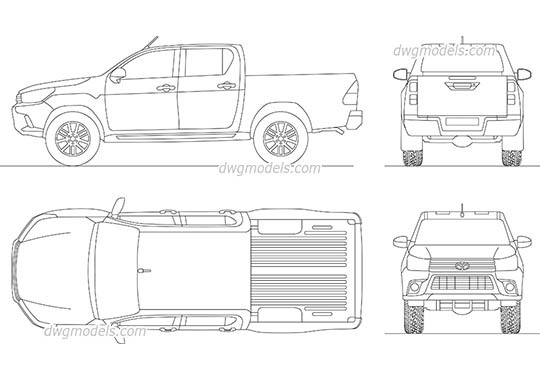 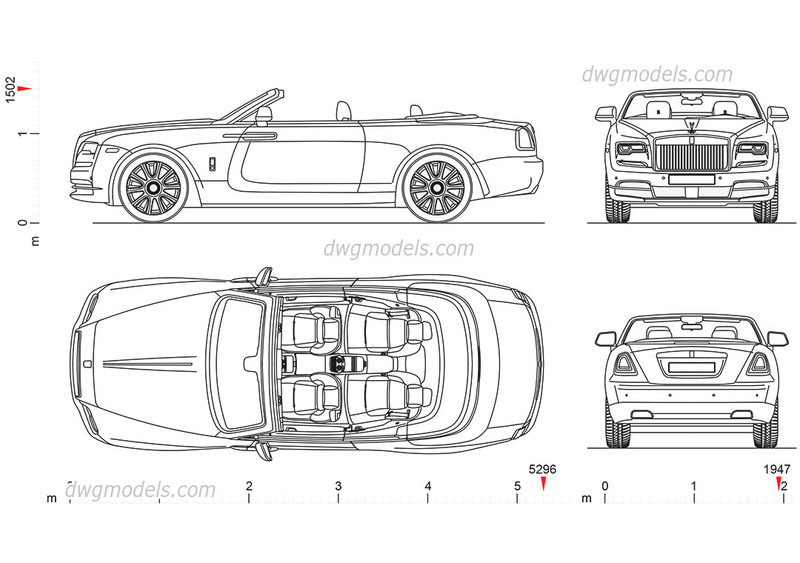 High-quality drawings of the Rolls-Royce Dawn in DWG (AutoCAD) format. 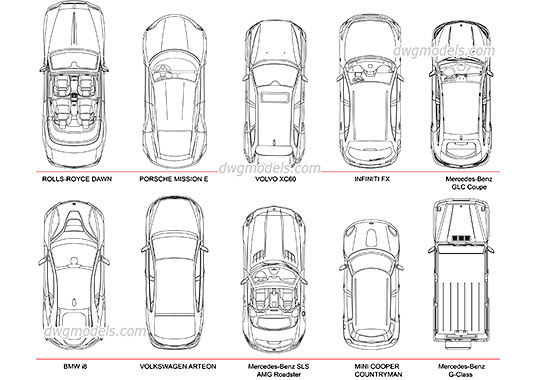 All orthogonal views of a British handmade luxury convertible. 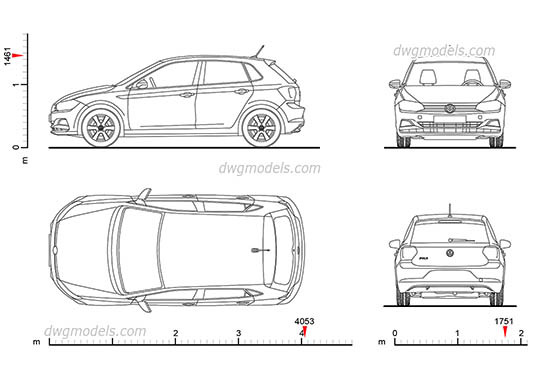 Dimensions: wheelbase - 3,112 mm (122.5 in), length - 5,296 mm (208.5 in), width - 1,947 mm (76.7 in), height - 1,502 mm (59.1 in).